Let’s look at how transforming the WAN edge benefits different verticals. As emerging technologies, high customer expectations, and global competition converge to create unprecedented market pressures, businesses across many different verticals are finding they urgently need to simplify legacy WAN edge and branch network complexity. Business types as disparate as retailers and manufacturers are seeking sustainable, flexible network and security solutions that can be rolled out quickly across their extended enterprise. Many are turning to SD-WAN for the integrated network support they need to digitally transform their stores, restaurants, branch offices, factory floors, and supply chains. SD-WAN provides a revolutionary, comprehensive, and integrated method of optimising and securing branch offices for various verticals. A primary driver is to provide the best user experience, no matter where or how users are accessing applications. Another need is to provide a holistic end-to-end visibility at the network, application and security layers. The goal of a Software-Defined Branch is to bring simplicity, security, better application experience, and lower TCOs by replacing all the nodes required at each remote location with a single appliance, on premise or in the cloud. The WAN reality is there are multiple inbound sources of information; analysis is challenging, unless you have a single source of truth. You either must analyse each “silo” separately, then leave it up to the admin to do the correlation, or purchase a different tool that can collate that data. In an era of digital transformation, data is the fuel that drives growth, innovation, and competitive advantage. The ability to compile and leverage both big picture trends and granular reports for real-time insight is increasingly the key to success in virtually every industry and business model. Many years into the e-commerce revolution, the retail industry is still struggling to provide the best mix of in-store and digitally-enabled immersive experiences to its customers. Retailers use applications like multicast to provide a differentiated in-store customer experience. And with over half the U.S. population carrying smart phones, mobility is certainly top-of-mind for retailers looking to effectively reach customers and avoid being “Amazon-ed”. Traditional retail is very price sensitive and margin driven. The digitalisation of the retail experience is the new competitive leverage — how to offer more digital services and seamlessly similar experiences between in-store and online? The customer experience can be ruined by latency, packet loss and over-subscribed circuits when applications and data move from retail locations and corporate data centres to the cloud. This scenario can result in dissatisfied customers, lost revenue, and stale intelligence. SD-WAN optimises applications going over the WAN, and provides greater reliability to avoid transaction failure. Maximising the speed and performance of data synchronisation is critical. It’s a new world for retail, and it’s also a new world for secure network connectivity. SD-WAN clearly has an advantage over legacy networks when retailers open new stores and need to activate connectivity quickly and cost-efficiently using LTE. SD-WAN will auto-discover and provide zero-touch provision routing, so there is no need for technical expertise at the retail sites because of the technology’s simplicity. SD-WAN essentially automates retail store and restaurant connectivity and allows the corporate office to centralise the management of all their operations. It also offers secure WiFi-offload for better customer experience. Exciting innovations and new digital technologies have the potential to profoundly transform manufacturing. Technologies like IIoT, big data analytics and SD-WAN are driving manufacturing operations forward, enabling a more efficient workforce, safer shop floors, and rising standards for production efficiency and quality. In manufacturing, production line performance is top priority. As manufacturers increasingly make use of emerging technologies like augmented reality, robotics, and 3D printing and modeling, new kinds of stressors impact the network. Think of AR in an IIoT manufacturing context: now technicians with AR can remotely monitor, change and maintain systems without putting the operator in danger. However, AR requires massive amounts of network resources. To handle an AR session, data must be sent efficiently to a network node over optimised transport. How can we accommodate these modern technologies and the accompanying surge of data from IIoT sensors? Manufacturing companies build private networks for monitoring and controlling machinery, and use network segmentation as a way of separating and isolating individual product lines into sub-networks to provide security and improve performance. This is critical for extended and interconnected supply chains, where a compromised supplier could spread an infection through data sharing. SD-WAN streamlines segmentation of the network to strengthen defenses and prevent downtime. As wireless communications technologies and IoT devices improve and adoption grows, support for these technologies in SD-WAN will become more important. SD-WAN solutions in manufacturing will need to support 3G, 4G LTE and 5G technologies for remote, hard-to-reach locations. SD-WAN solutions should enable manufacturing companies to fully take advantage of the benefits of connected IoT devices. For example, with the advent of autonomous vehicles and drones, the ability to host multiple WAN (radio) links will become essential; a comprehensive SD WAN solution will support and sustain this critical connectivity. Cloud and SaaS are changing the way manufacturers are deploying their networks, and many understand the important role networks play in our highly competitive global market. They understand that legacy networks can’t keep up with the demands of today’s application consumption models. SD-WAN supports enhanced application security by delivering an unprecedented level of visibility into network activities at all WAN sites, including corporate data center and cloud environments. SD-WAN encrypts the network data to disallow unauthorised access. 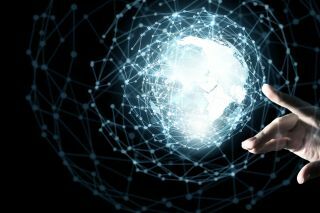 As manufacturers move from rigid and hardware-centric legacy networks to SD-WAN platforms that are virtualised, automated, and controlled by software, they will recognise how this infrastructure can fundamentally improve their operations, make them more competitive and keep them innovating at the cutting edge. The benefits are too important to ignore — cost savings, efficiency gains, faster and easier deployment, and easier-to-integrate analytics solutions, to name a few. IT teams need to carefully evaluate their branch WAN requirements, critical applications, and digital strategies. They should prioritise the functions essential to success in their particular industry. This will help ensure their vendor provides the features they need to execute a transformative SD-WAN deployment.